If you thought ABBA‘s deluxe reissue series was at an end with the release of The Visitors earlier this year, then think again. The deluxe editions continue, and this time we go back to 1975, for an expanded edition of the group’s third studio album, simply entitled ABBA. The hit singles featured on the record include Mamma Mia, SOS and I Do, I Do, I Do, I Do, I Do. The first disc in this 2-disc package is a CD, which features the original album, plus three bonus tracks. There is nothing new here, since the bonus tracks match what was on the same disc in the 2005 Complete Studio Recordings box set. However everything has been remastered (for at least the fourth time) especially for this release. This is signficant, because previous remasterings have been criticised, but recent deluxe reissues such as Super Trouper and The Visitors have been highly rated, with a more audiophile approach to the sound. It is likely that ABBA will have a remastering approach similar to the the last few reissues. The format is the same as previous releases, with a single DVD as the extra disc. It looks promising, featuring 60 minutes of previously unreleased television performances, including the complete 1976 television special ABBA In Australia – the export version of the famous The Best Of ABBA special. Six of the 12 songs in the special are performances of tracks from the ABBA album. In addition, there are three songs from the 1975 television special Made In Sweden – For Export, along with two performances from the BBC archives: SOS on Seaside Special, first broadcast in 1975, and Mamma Mia on Top Of The Pops (1976). The package also includes a 24-page booklet featuring an extensive essay on the making of the album, for which ABBA’s Benny Andersson and Björn Ulvaeus have contributed fresh insights and stories. 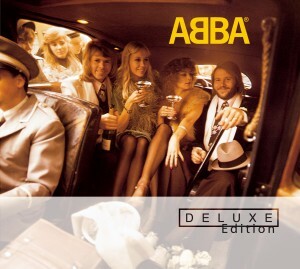 ABBA (Deluxe Edition) will be released in November 2012. I shall be buying this particularly for the remastering as all previous attempts have been hack jobs. The Super Trouper and Visitors Deluxe remasterings were superb, proving that, finally, Universal have realised that compressing the life out of the sound and ramping up the volume is not acceptable. Yes, exactly. They’ve finally got it sorted with the remastering. The DVD on this set looks more substantial than some of the others, too. Steve. If this release is anything like the the last one ( the Visitors) the DVD will be “all regions (0) NTSC 4:3 “. Thus playable by everyone, everywhere . Hope this helps. Hmm…. as a lifelong Abba fan I find the DVD interesting. The CD, however, is a big disappointment. Nothing new under the sun. The selection for bonus tracks are ok in themselves, but they have all been released countless of times – and have also been included on previous editions of the “Abba” album. I do hope, that they managed to include the original mix of “Medley”, since the sound of the slightly beefed up 1978-remix will seem out of the context defined by the “Abba” Album. I feel like they have just taken one of the old editions and thrown in a dvd with tv-shows. In my perfect world, this edition should also have includede “Fernando” in all three versions (I’ve always thought it to be a bit misplaced on the various editions of “Arrival”. And what about Aggies Swedish version of SOS? Was it really that impossible to have it included in this set? For unreleased material, live-versions of the bigger hits like “SOS”, “Mamma Mia” and Benny’s gem “Intermezzo no. 1” would have been awesome. As mentioned, the DVD is the more interesting part. The official videos connected to the album should have been included too (“SOS”, “Bang A Boomerang”, “Mamma Mia” and – in my edition – “Fernando”).